If you’re headed for the peaks, even past the pines – there are some important things to know about the environment at high elevation and how it affects the human body and mind before you go. 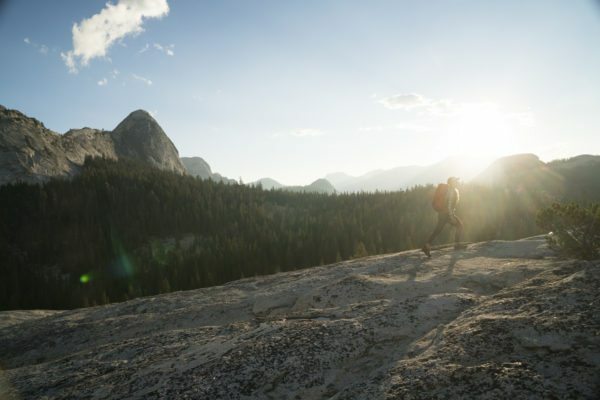 You could be doing the hike of your life – such as scaling Half Dome in Yosemite at 8,839-feet or climbing up 14,259-foot Long’s Peak in Rocky Mountain National Park – and you want to be able to soak in the amazing experience of being at high elevation, not suffer through it! For the best adventure possible up high, read below for the 5 things you should be most aware of when hiking at high elevation. 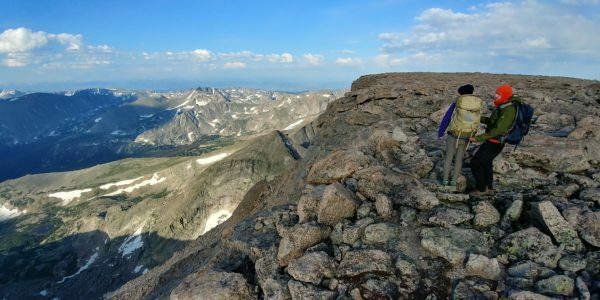 The high-elevation backcountry of the American West is an explorer’s wonderland – but hiking at high altitude has significant effects on the human body and mind. Humans perform best – both physically and mentally – at sea level where the atmospheric pressure is 1 atm. Once you reach around 7,000 feet above sea level, the atmospheric pressure and percentage of oxygen starts to decrease at a rapid pace, so it is much harder to breath. High Altitude is considered 4,900 – 11,500 feet above sea level (1,500 – 3,500 meters), very high altitude is from 11,500 – 18,000 feet (3,500 – 5,500 meters), and extreme altitude is 18,000 feet (5,500+ meters) and above. With the thin air comes a lack of moisture, so hiking at high elevation can be rough on the skin. When heading out on a high altitude hiking trip, make sure to drink extra water, wear extra sunscreen, and wear proper clothing with enough coverage including hats and sunglasses. Lip balm is must to soothe those cracked lips! While hiking, move at a slower pace, find a rhythm, take breaks as needed, and breath deeply. Summer weather in the mountain west can change drastically in a matter of hours, sometimes minutes! We all go backpacking in search of those warm days where we hike all morning and lounge in the sun all afternoon, taking a quick dip in a freezing alpine lake to refresh for the next day’s hike. However, rain, hail, and even snow are a real possibility when you’re hiking above eight or nine thousand feet in elevation. Plan your hiking trip based on annual average temperatures in your desired destination. In August and September, afternoon thunder and lightning storms are common, so you may want to consider an alpine start (hitting the trails as early as possible). Once on the trail, you can never control the weather so always prepare for the worst case scenario when heading into the backcountry. The scenery changes continually the higher you climb. The altitude of the “treeline” varies by climate, but in every habitat it represents the same thing – the edge of where trees are capable of growing because the conditions become to harsh for plants to tolerate. The terrain becomes much more rugged, so appropriate hiking boots with proper ankle support is a must, cairns mark the routes instead of a nicely formed trail, and Leave No Trace principles become more strict. The lack of trees means little-to-no protection when bad weather occurs – so if a thunder or lightning storm hits, head back down the mountain! Altitude sickness is real, and dangerous. Altitude sickness can occur when one does not give the body adequate time to acclimate to the environment, the change in air pressure, and the lack of oxygen. This happens when you climb to high elevations too quickly. However, altitude sickness can happen even if you give yourself time to acclimatize. Everyone is different, and it can happen to anyone, even if you have spent a lot of time at high altitudes before without a problem. Symptoms of altitude sickness can include nausea, headache, lack of hunger or thirst, lack of coordination, difficult breathing, confusion, and vomiting. If you notice these warning signs early on, you can prevent altitude sickness. The only real way to treat altitude sickness is to get to a lower elevation, rest (reduce exertion), hydrate, and eat. More serious effects of high altitude sickness include permanent brain damage and potentially fatal high-altitude pulmonary edema (HAPE) and high-altitude cerebral edema (HACE). 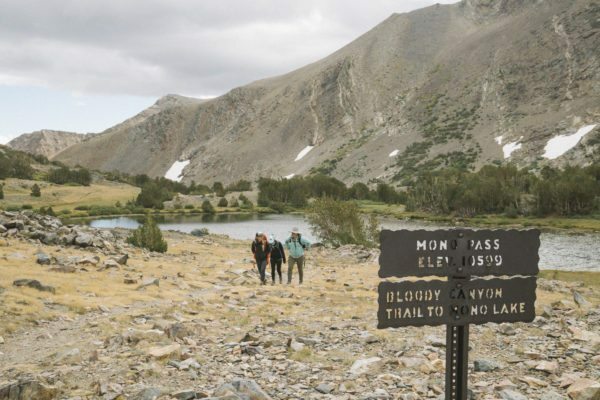 Hiking at high elevation is worth the beautiful views and fresh mountain air if you are properly prepared to take on this kind of mighty adventure. Keep these tips in mind and you should be at the summit in no time.